Who can view a meeting recording? If you were part of the meeting, go to the chat history in Teams and click Play to play the meeting recording directly in Teams. To turn on closed captions, click CC in the player. If you need to edit the closed captions, see Edit the recording transcript. If you own the meeting recording, you can also find it on Microsoft Stream. Just click My Content > Videos. 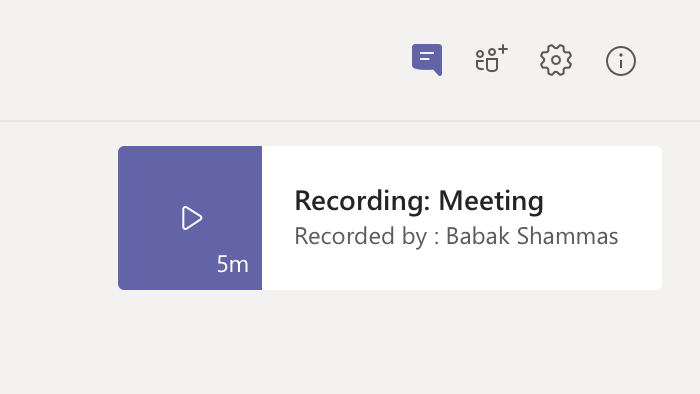 When the recording is uploaded to Microsoft Stream, the recorder is the owner of the video and the users who were invited to the meeting are the viewers. The owner needs to give permission or download the video to share the recording beyond these people. If you recorded the meeting, you can share the recording with people who did not attend the meeting, but you need to take a few additional steps. Note: Only the owner of the meeting recording can update permissions for the recording. As the meeting recording owner, go to the recording in the Teams chat history and click More options > Open in Microsoft Stream. Change the permissions for the video to allow groups or individuals to view it in Stream. In the Microsoft Stream portal, under the video, click > Edit. In the Permissions section, add people or O365 groups who need viewer or owner access to the video. See Permissions and privacy for details. Note: This is also where recording owners can name additional owners. In Teams, go to the meeting recording in the chat history and click More options > Get link. In the Get Stream link dialog box, click Copy. Paste the link into an email or Teams message and click Send . Recording owners can download and distribute their meeting recordings. 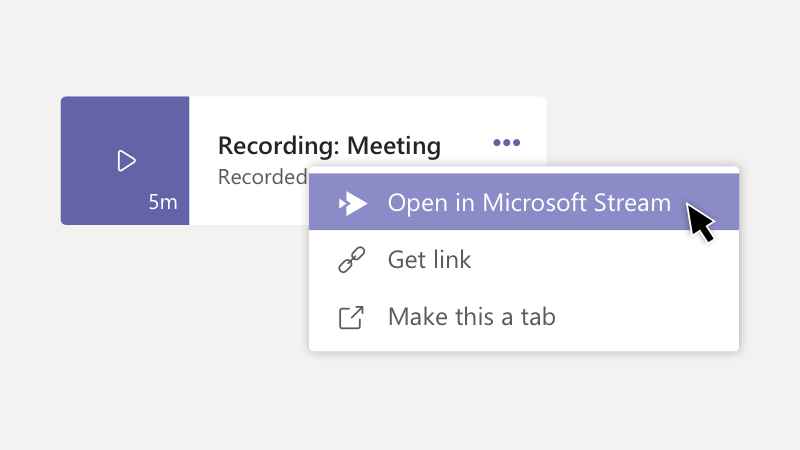 Go to the meeting recording in the chat history and click More options > Open in Microsoft Stream. On the Microsoft Stream portal, click > Download original video. 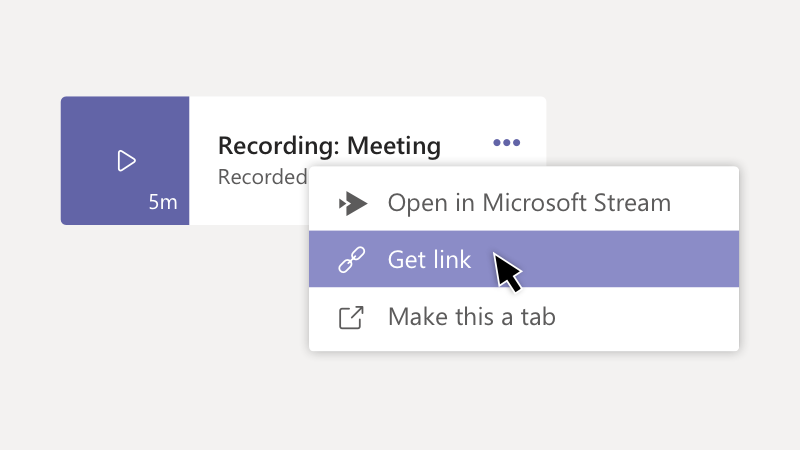 Add the video to a Teams conversation by clicking Attach beneath the compose box. Or share the recording any other way you choose. You can view meeting recordings on your mobile device, but you need to use the desktop or web version of Teams to record a meeting.